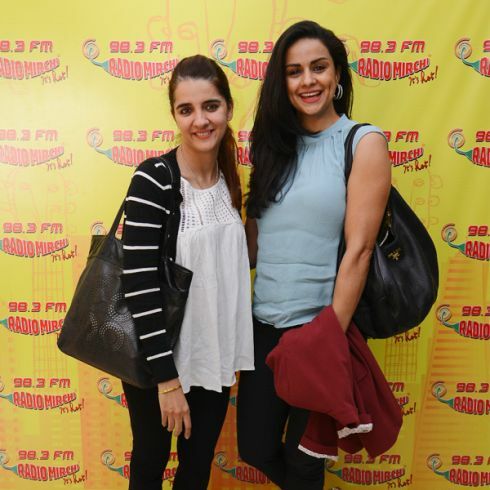 MUMBAI: Former beauty queen Gul Panag and VJ Shruti Seth were seen at the Radio Mirchi studio Mumbai. The two are coming up with an event named ‘Festivelle’ on 17 and 18 December. Gul Panag and Shruti enjoyed themselves with the Mirchi team as they promoted their event, which is a women oriented one. The event details are available on bookmyshow and this is the first time ‘Festivelle’ has been promoted on a radio station.